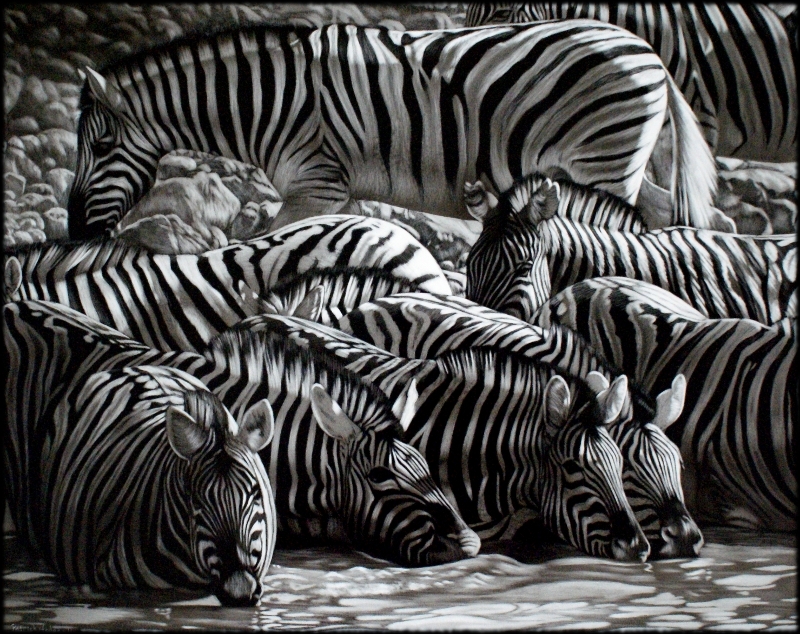 I have a new zebra scratchboard from my time at Etosha National Park in Namibia. The last one was a commission so I don’t have it anymore but it seemed to be quite popular with people on the internet that I wanted to do another similar one, although with a different composition, and keep hold of it to enter into shows. This is larger at 20″ x 16″ and took a long time to finish. It’s done entirely with the fibreglass brush and washes of diluted ink. I’ve titled it “The Lifeblood of Etosha”, referring to the permanent waterhole they are drinking at, and also the zebras themselves which keep the tourists coming back, keeping Etosha a viable and magnificent park. Patrick…you’ve done an amazing job on this piece. How you kept your sanity laying down all the stripes, in itself, is amazing. Bravo!! Amazing work Patrick! 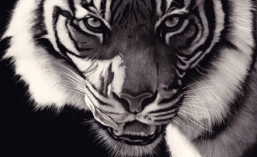 Can’t believe you got that detail with just a fiberglass brush and ink! How many fiberglass brushes did it take for that size? Been waiting to recieve info about joining the International Scratchboard Society…any updates?